Slowly but surely the legalization of cannabis is growing across the United States. In my mind, it will inevitably become legal federally but it is anyone’s guess as to when that might happen. Three of the four states (Michigan, Utah, Missouri and North Dakota) that had cannabis reform on their ballots had a win. North Dakota is the only state defeating its cannabis proposition which was to add adult recreational use to its already-active medical marijuana laws. Michigan now has the distinction as the first mid-western state to legalize the adult recreational use of cannabis, and overall, will become the 10th state to do so. Both Missouri and Utah join the ranks of states allowing medical marijuana via their approved ballot measures. This means that now people in 32 states plus DC will have access to cannabis for medical purposes. 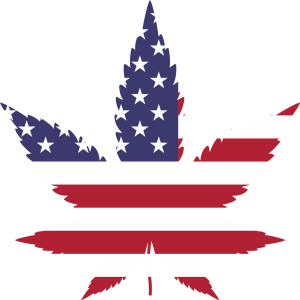 However, the many veterans who suffer from PTSD remain forbidden to access medical use in a legal-medical state until cannabis is legalized federally, despite the facts of its superior effectiveness for this ailment. Missouri will allow doctors to recommend cannabis as they see fit with no set list of qualifying health conditions. Utah’s medical marijuana laws will be more restrictive given its recognition as a traditionally conservative state. Their Proposition 2 measure bans the smoking of cannabis for medical purposes but does allow vaping for those who meet the qualifying health conditions listed for use. Once again we see that the scope of how legal use and implementation varies from state to state. This patchwork will remain until the federal government takes cannabis off the list of Schedule I drug of no medicinal value.